Hey everyone - I am going to try to get back into the swing of the M-W-F-Sa posting schedule. Things are still a bit crazy... I am giving the departmental seminar next week which freaks me out, Leo is getting sick again and I am taking him to another vet for a second opinion, Nova just had her spay (poor baby)... and I am still having a rough time dealing with the loss of my sweet Papa. I found some videos I had taken of him on my computer, I think I watched them about 50 times each.. :( I am sure it will get better with time, but I am still just in a bit of a disbelieving state. Anyway, point being I will do my best but bear with me if I have another teeny lapse this week! I promise I will get the giveaway results to you first thing next week, probably Monday. 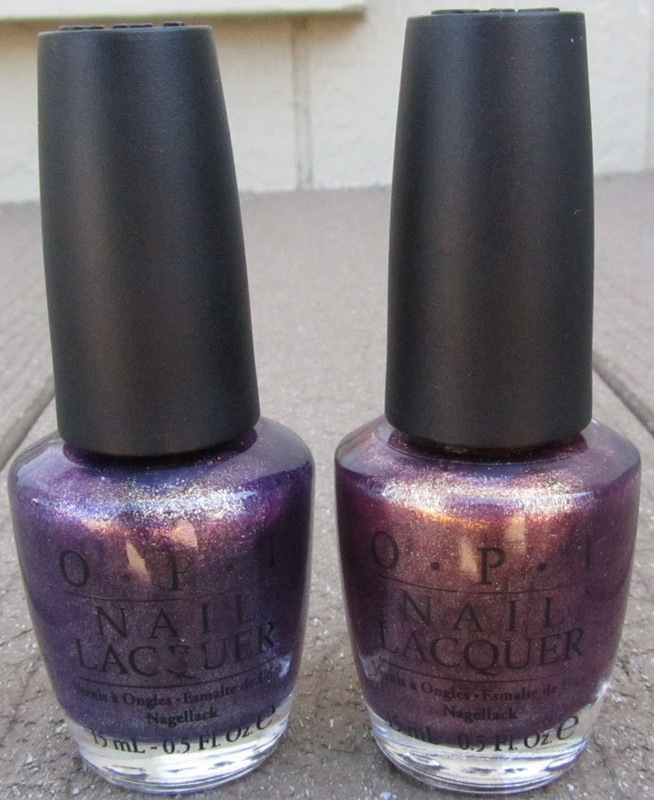 And now on to a comparison I did awhile back... two sister shades with a very similar finish. Both have that amazing shimmery foil-like finish full of golden flecks. I adore both of these colors, and I am sure they will get plenty of wear out of me! 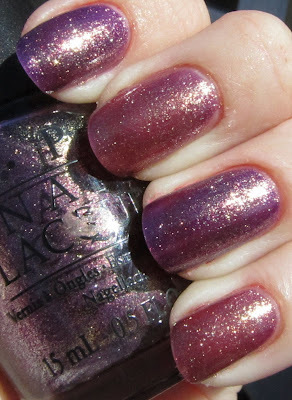 They look amazing on the nail (and in the bottle of course). I highly recommend both of them! i love the second one. beautiful! Both of these are beauties - I just love shades like this.